206 pages | 3 B/W Illus. 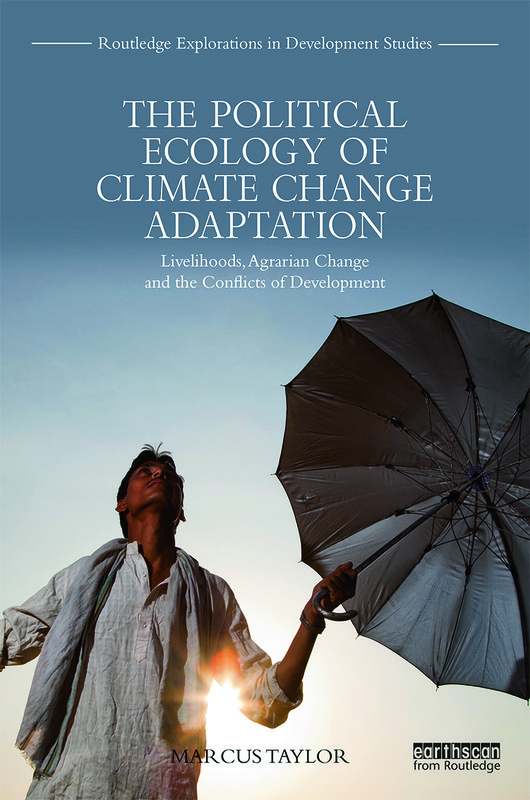 "Embedding his narrative in powerful empirical studies of extreme-weather events in India, Pakistan, and the Mongolian steppes, Taylor produces the most incisive and sustained interrogation to date of the society/climate binary inherent in much that is written on climate-change adaptation. His own strategy of reading climate from a materialist point of view will no doubt provoke and enrich debates." "For those suspicious of global calls for "adapting" to climate change, Marcus Taylor provides ammunition and logic: an avalanche of detailed, intuitive, radical and compelling arguments and cases from around the world. For advocates of adaptation, he offers a grim and sobering reminder of the politically-loaded and careless violence of the international development machine." "Taylor’s brilliant and pathbreaking new book explores the genealogy and construction of adaptation as a complex new field of knowledge and practice. It demonstrates how power, political economy and the production of vulnerability must be the foundations upon which new and radically transformative ideas and policies to combat climate change are constructed. A brave and important book." "This book provides a compelling answer for why it is that, although we know that climate change is a real and pressing issue, preciously little real change is taking place. It offers an incisive analysis of adaptation and what might be wrong with it." Marcus Taylor is an Associate Professor in the Department of Global Development Studies and School of Environmental Studies at Queen’s University, Canada.